"This article analyses different costs rules and practices regarding patent litigation in Europe, explains the functions played by cost-shifting provisions and proposes the introduction of a modulated two-way fee-shifting system, in order to enhance patent litigation". Cost shifting is one of the fundamental elements of litigation, as it represents an important element in the decision to go to court. In Europe, the Enforcement Directive tried to harmonize national costs rules, but they, and the respective practices, are still particularly divergent among EU Member States, as the analysis showed. The different systems adopted by Germany and England and Wales show that each scheme has its advantages, but also some shortcomings. Although one Member State can learn from the practice of the others, its own tradition may represent a barrier to the implementation of alternative solutions. However, the creation of the UPC represents an exceptional opportunity for the adoption of new measures on litigation rules in general and also on cost-shifting provisions in particular. Although the different traditions of each Member State may and should be considered, the creation of the UPC could allow the adoption of creative measures, as long as they comply with EU rules. The UPC should therefore make use of costs scales, profiting from the German experience, and of an issue-based approach, benefiting from the English and Welsh practice. Moreover, the UPC should reformulate the English and Welsh experience with certificates of contested validity and create a modulated two-way fee-shifting system, which may help improve the patent system. This is obviously of interest to readers of PatLit who litigate patents in Europe, or may find themselves doing so under the new European patent regime in the near future. On December 12, 2014, the U.S. Supreme Court granted certiorari in the third patent case to be heard this term, this one presenting an issue at the intersection of patent law and antitrust law. In Brulotte v. Thys Co., 379 U.S. 29 (1964), the Supreme Court ruled that a patent license requiring the licensee to pay royalties after the licensed patent expires is a per se violation of the antitrust laws. In addition, the same conduct constitutes patent misuse, and may render a patent unenforceable in a subsequent infringement action. Now, 50 years later, the petitioner in Kimble v. Marvel Enterprises, Inc., No. 13-720, asks the Court to overturn that per se rule. 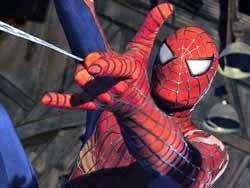 Kimble is the inventor of a "Spiderman" toy that allows children (and perhaps some adults) to shoot foam webs from their wrists. He licensed the patent to Marvel. The license included a royalty based on sales of the toy, but did not provide for the royalties to end when the patent expired. Marvel relied on Brulotte to stop paying post-expiration royalties. The Brulotte Rule has been widely criticized as outdated. For example, Scheiber v. Dolby Labs., Inc., 293 F.3d 1014 (7th Cir. 2002), Judge Richard Posner criticized the rule as being wrong, lamenting that the Seventh Circuit had “no authority to overrule a Supreme Court decision no matter how dubious its reasoning strikes us, or even how out of touch with the Supreme Court’s current thinking the decision seems.” The U.S. Department of Justice and Federal Trade Commission also have criticized the rule in recent guidelines analyzing anticompetitive provisions in intellectual property license agreements. In recent years, the Supreme Court has modernized its analysis of antitrust concerns relating to intellectual property. See, e.g., Illinois Tool Works, Inc. v. Independent. Ink, Inc., 547 U.S. 28 (2006) (overruling its prior decisions that, in an antitrust tying claim, a patent does not necessarily confer market power upon a patentee). The Kimble case may be a vehicle for it to dispense with the Burlotte rule as well. Oral arguments have not been scheduled. DDR Holdings: A New Perspective On Patenting Internet Processes? The Supreme Court’s decision in Alice Corp. v. CLS Bank Int’l, 134 S. Ct. 2347 (2014) created perplexing issues for those hoping to patent computer-implemented processes and associated systems. The Court described a potentially broad (but effectively undefined) notion of “abstract ideas,” and held that a patent that implicates an abstract idea is eligible for patenting under 35 U.S.C. § 101 only if the claims recite an “inventive concept” that restricts the claimed subject matter to something significantly different from the abstract idea per se. Routine and conventional computer hardware and functions are insufficient to provide this inventive concept. Following Alice, a series of cases have invalidated patents covering computer-implemented inventions as ineligible abstract ideas. Ultramercial, Inc. v. Hulu, LLC, ___ F.3d ___, 2014 WL 5904902 (Fed. Cir. Nov. 14, 2014)(process for using advertising as a currency for accessing media content over internet); buySAFE, Inc. v. Google, Inc., 765 F.3d 1350 (Fed. Cir. 2014)(use of computer to create a transaction performance guaranty); Accenture Global Servs., GmbH v. Guidewire Software, Inc., 728 F.3d 1336 (Fed. Cir. 2013)(system to perform insurance-policy-related tasks on a computer); Bancorp Servs. LLC v. Sun Life Assur. Co. of Canada, 687 F.3d 1266 (Fed. Cir. 2012)(use of computer to perform repetitive insurance value computations). In light of those decisions, the outlook for internet-related computer patents appeared bleak. On December 5, however, the Federal Circuit signaled that some hope still exists by affirming the eligibility of a software patent involving commerce on the internet. DDR Holdings, LLC v. Hotels.com, LP, No. 2013-1505 (Fed. Cir. Dec. 5, 2014). Slip opinion HERE. In a 2-1 decision written by Circuit Judge Chen, the Federal Circuit ruled that an invention directed to merchandising on the internet was patent-eligible. DDR concerned U.S. Patent No. 7,818,399 (entitled “Methods of expanding commercial opportunities for internet websites through coordinated offsite marketing”). The ‘399 patent addressed the problem facing internet stores with websites that include ads for third-party merchants. In prior art systems, a customer clicking on an ad on a host website would be directed to a third-party site, often being lost to the host site forever. The ‘399 patent claims a process involving stored data concerning the visual elements responsible for the “look and feel” of the host website, so that upon clicking an ad the customer is directed to a webpage on the host website that is a composite of the third-party merchant’s product information and the look and feel elements of the host website. The Federal Circuit applied the two-step test for patentability set forth in Alice. First, it considered whether the ‘399 patent claims were directed to a patent-ineligible abstract idea. It noted that distinguishing between a patentable invention and an abstract idea “can be difficult, as the line separating the two is not always clear.” Slip op. at 16. After reviewing Supreme Court cases characterizing (without defining) abstractness, the Federal Circuit side-stepped the issue by noting that, even if the ‘399 patent claims included abstract ideas, they nonetheless were saved by step two of the Alice analysis. In step two, the court must “consider the elements of each claim—both individually and as an ordered combination — to determine whether the additional elements transform the nature of the claim into a patent-eligible application of that abstract idea. This second step is the search for an ‘inventive concept,’ or some element or combination of elements sufficient to ensure that the claim in practice amounts to ‘significantly more’ than a patent on an ineligible concept.” Id. 16, quoting Alice, 134 S. Ct. at 2355. As an initial matter, it is true that the claims here are similar to the claims in [earlier cases finding patents ineligible] in the sense that the claims involve both a computer and the Internet. But these claims stand apart because they do not merely recite the performance of some business practice known from the pre-Internet world along with the requirement to perform it on the Internet. Instead, the claimed solution is necessarily rooted in computer technology in order to overcome a problem specifically arising in the realm of computer networks. In particular, the ’399 patent’s claims address the problem of retaining website visitors that, if adhering to the routine, conventional functioning of Internet hyperlink protocol, would be instantly transported away from a host’s website after “clicking” on an advertisement and activating a hyperlink. For example, asserted claim 19 recites a system that, among other things, 1) stores “visually perceptible elements” corresponding to numerous host websites in a database, with each of the host websites displaying at least one link associated with a product or service of a third-party merchant, 2) on activation of this link by a website visitor, automatically identifies the host, and 3) instructs an Internet web server of an “outsource provider” to construct and serve to the visitor a new, hybrid web page that merges content associated with the products of the third-party merchant with the stored “visually perceptible elements” from the identified host website. Unlike the claims in Ultramercial, the claims at issue here specify how interactions with the Internet are manipulated to yield a desired result—a result that overrides the routine and conventional sequence of events ordinarily triggered by the click of a hyperlink. Instead of the computer network operating in its normal, expected manner by sending the website visitor to the third-party website that appears to be connected with the clicked advertisement, the claimed system generates and directs the visitor to the above-described hybrid web page that presents product information from the third-party and visual “look and feel” elements from the host website. When the limitations of the ’399 patent’s asserted claims are taken together as an ordered combination, the claims recite an invention that is not merely the routine or conventional use of the Internet. Id. at 22-23. As a result, the court ruled that the process was eligible under §101. Circuit Judge Mayer dissented, arguing that the ‘399 patent was “long on obfuscation but short on substance[,]” and that the invention disclosed was “so rudimentary that it borders on the comical.” He interpreted Alice to create a “technological arts” test for eligibility, which was not met because the ‘399 patent was not rooted in any new computer technology. Hospira UK Limited v Genentech Inc. [2014 EWHC] 3857 (Pat) is a decision by Mr Justice Birss in the Patents Court, England and Wales. This case is about a stable formulation containing the antibody Herceptin (or ‘trastuzumab’) which is used to treat breast cancer. The formulation contains Herceptin and three specified ‘excipients’. The decision concerns Genentech’s two patents EP 1516628 and EP 2275119, which are divisionals from the same parent case. Herceptin itself was protected by a different patent, EP 0590058 for which the SPC expired on 29 July 2014. Hospira now wish to sell generic Herceptin and in order to do so have to obtain a generic authorisation based on the existing marketing authorisation for Herceptin. That would require them to use the same formulation as claimed in the present two patents, and so in this action Hospira sought revocation of Genentech’s patents to ‘clear the way’ for Hospira to sell generic Herceptin. Birss J noted at the onset that formulation patents are sometimes called ‘second-generation’ patents because they do not relate to the drug itself, and ‘are sometimes criticised as an attempt by the pharmaceutical company to unduly prolong its monopoly, after the first generation patent for a drug itself has expired (so called evergreening)’. However he also noted that ‘there is no legal principle that formulation patents should be treated in any way differently from any other patent’. - a discussion of why the judgment has not fallen foul of the ‘Technograph’ test, in which a ‘step by step’ analysis can be based on hindsight. The invention concerns a stable lyophilised (i.e. freeze dried) formulation for Herceptin which can be stored for long periods of time and which is reconstituted with water before administration to a patient. The formulation comprises four specified components: Herceptin, trehalose (a lyoprotectant), histidine (a buffer) and polysorbate 20 (a surfactant). Herceptin was known at the priority date and therefore the invention only lies in deriving this specific four-component formulation. The claims place limitations on the ratios and concentrations of the components, but these limitations were not deemed to make an inventive contribution. - whether the claims were obvious. Claims 1 and 2 from both patents are below showing the amendments that Genentech requested (the underlining shows text that has been introduced into the claims). Similar amendments were made to generate new claims 3 and 4 for EP 2275119 which are not shown here. The amendments include deletion of the feature relating to the 200-600:1 ratio of lyoprotectant to antibody and insertion of an ‘obtainable by’ product by process feature. 1. A formulation comprising a lyophilized mixture of a lyoprotectant, a buffer, a surfactant and an antibody, wherein the molar ratio of lyoprotectant : antibody is 200 600 moles lyoprotectant : 1 mole antibody, wherein the lyoprotectant is trehalose or sucrose wherein the buffer is histidine, wherein the surfactant is polysorbate 20 and wherein the antibody is a monoclonal antibody huMAb4D5-8, obtainable by lyophilizing a solution containing 25 mg/ml huMAb4D5-8, 5mM histidine pH 6.0, 60 mM trehalose and 0.01% polysorbate 20. 2. A formulation comprising a lyophilized mixture of a lyoprotectant. a buffer, a surfactant and an antibody, wherein the lyoprotectant is trehalose, wherein the buffer is histidine, wherein the surfactant is polysorbate 20 and wherein the antibody is huMAb4D5-8, such that an amount of said lyophilized mixture containing 450 mg of said antibody can be reconstituted with 20 ml of BWFI (0.9 or 1.1% benzyl alcohol) to yield a concentrated protein solution containing 22 mg/ml of said antibody, 52 mM trehalose, 4 mM histidine, pH 6.0, 0.009% polysorbate 20. 1. Use of a lyophilized formulation comprising a monoclonal antibody, a buffer, a surfactant and a lyoprotectant, wherein the molar ratio of lyoprotectant : antibody is 200 600 moles lyoprotectant : 1 mole antibody, wherein the lyoprotectant is trehalose, wherein the buffer is histidine, wherein the surfactant is polysorbate 20, and wherein the monoclonal antibody is huMAb4D5-8 an anti HER2 antibody, obtainable by lyophilizing a solution containing 25 mg/ml huMAb4D5-8, 5mM histidine pH 6.0, 60 mM trehalose and 0.01% polysorbate 20, in the preparation of a medicament for the treatment of a breast cancer characterised by overexpression of the HER2 receptor. 2. Use of a formulation comprising a lyophilized mixture of a lyoprotectant. a buffer, a surfactant and a monoclonal antibody, wherein the lyoprotectant is trehalose, wherein the buffer is histidine, wherein the surfactant is polysorbate 20 and wherein the monoclonal antibody is huMAb4D5-8, such that an amount of said lyophilized mixture containing 450 mg of said antibody can be reconstituted with 20 ml of BWFI (0.9 or 1.1% benzyl alcohol) to yield a concentrated protein solution containing 22 mg/ml of said antibody, 52 mM trehalose, 4 mM histidine, pH 6.0, 0.009% polysorbate 20, in the preparation of a medicament for the treatment of breast cancer characterised by overexpression of the HER2 receptor. The expert evidence was used to establish the common general knowledge in the field of formulations, including determining how the skilled formulator would have acted. At the priority date of March 1996 a phase II clinical study of Herceptin had been published (Baselga et al) and it was known that a phase III clinical trial was happening. However Hospira could not establish that these would be known to all in the art and therefore they were not deemed to be part of the common general knowledge. Birss J established that in 1996 the task of providing a formulation for a large molecule such as the Herceptin antibody was a challenge and essentially empirical, but this had been successfully undertaken for a number of molecules, such as insulin, human growth hormone and erythropoietin. He felt the skilled formulator would not underestimate the potential risks and would not give up even if the early results were negative. The skilled formulator would deem the exercise well worth carrying out and worth pursuing seriously. Birss J also noted the ‘very different point’ that the skilled formulator could not say in advance which putative formulation would work. This seems relevant to ‘expectation of success’ but did not factor into the inventive step analysis in the decision. Birss J found that the general approach to identifying a formulation was established in 1996, that of testing candidate excipients in various conditions. Lyophilisation was also well known, as was the use of a buffer, surfactant and lyoprotectant in a lyophilised formulation. Histidine was known as a buffer and polysorbate 20 as a surfactant. However while the common general knowledge included the ‘idea of using trehalose as a possible lyoprotectant for proteins’ its toxicity when given as part of a therapeutic composition was not known. Birss J had to decide whether deletion of the feature of the molar ratio of lyoprotectant to antibody being 200-600 moles to 1 mole and insertion of the product by process feature led broadening of claim scope. Genentech argued that the product by process feature led to the ratio being 360:1 of lyoprotectant to Herceptin. However Hospira pointed out that the claims use ‘comprising’ language and therefore other proteins and lyoprotectants could be present in the composition, and that could take the ratio outside 200-600:1. Birss J agreed and found that the amended claims extended scope beyond the granted claims, but also noted that an amendment to replace ‘comprising’ with ‘consisting of’ would overcome the issue. In the decision Birss J introduces his discussion of product by process claims by saying they are ‘tricky’. He first discusses product by process claims which are written in the form of ‘obtainable by’ or ‘obtained by’ a defined process, which he describes as ‘overt’ product by process claims. Kirin Amgen  UKHL 46, reported by IPKat here. established that the EPO position had to be followed when determining the validity of such claims. That meant that the ‘obtained by’ form of claim could be anticipated by any product that had the same features as the product obtained by the process, even if it was not made by the process, i.e. for validity the scope of the claim was being interpreted in the same way as for the ‘obtainable by’ form of claim. However Birss J noted that for infringement purposes the ‘obtained by’ feature had to be read as only covering products that had been made by the defined process. Birss J admitted this was a ‘little paradoxical’. He also noted that apart from ‘overt’ product by process claims (that used the language ‘obtainable by’ or ‘obtained by’) claims could have other product by process features such as ‘lyophilised’ in the present claims where again the same issues arose of the scope of the claims for validity and infringement. Birss J discussed the circumstances in which the EPO will allow product by process claims. They are only allowed when there is no other way of defining the product (i.e. the product cannot be adequately defined using structural features). This is essentially a trade off between clarity and fairness to the patentee. Turning to the present claims he noted that it was difficult to determine which characteristics need to be present in a product for it to be ‘obtainable by’ the defined lyophilisation process, for example it is not clear what the water content of the product could be. The reader of the claims would be faced with the ‘impossible task of having to create for themselves a list of the relevant attributes’ of the product which is covered. In these circumstances, and in line with the EPO’s approach, Birss J refused to allow the amendment. The added matter issue arises because the amendments represent a generalisation from Example 1 of the patent. Hospira argued that this represented an impermissible intermediate generalisation, and cited Palmez  RPC 47 . Genetech submitted that the amendment does not disclose ‘new information’ and cited AC Edwards v Acme  RPC 131. Birss J noted that it was not always easy to know which cases fall on the AC Edwards side of the line and which on the Palmaz side, admitting he made that mistake in AP Racing v Alcon  EWPCC 3 (the IPKat’s report of the appeal can be found here). He also noted that the ‘task of applying the law is made more difficult by the fact that the EPO does not approach added matter this way at all’. Turning to the amended claims he noted that they have the effect of only limiting the molar ratio of the components. However in the context of the original disclosure the molar ratios would be tied to particular protein concentrations, and therefore in the absence of a limitation to protein concentration the amended claims present ‘new information’ and therefore add matter. Carter was the primary document for determining obviousness. It disclosed that Herceptin was in phase II clinical trials for breast cancer. Birss J felt that this would provide the skilled person with motivation to produce a formulation. There was motivation to investigate lyophilisation given that it was known liquid formulations of Herceptin degraded. Hospira’s case was that the required screening of excipients was wholly conventional and the three excipients present in the formulation were obvious candidates to include in the screen. The particular concentrations and/or molar ratios specified in the claims ‘are not suggested to be the product of inventive step’. Birss J found that the skilled formulator would identify histidine as an appropriate buffer and polysorbate 20 as an appropriate surfactant from common general knowledge. Whether the skilled formulator would choose trehalose as a lyoprotectant was more complex to determine. Genentech argued that its toxicity was unknown and so regulatory approval would be needed for its use. Further it would not be present in a ‘first’ screen, and would only be tested after a ‘second’ screen. If the skilled formulator achieved success before that then trehalose might never be tested. Genentech also argued that the focus on trehalose was due to hindsight. However Birss J disagreed, viewing trehalose as a ‘very promising lyoprotectant’ and finding that concerns about toxicity would not put the skilled formulator off from testing it. In Birss J’s opinion trehalose would be in a list of eight lyoprotectants to test. That makes it an obvious ingredient to test. Before concluding on obviousness Birss J went on to deal with other points that arose as part of looking at obviousness. Genentech argued that the EPO’s approach of asking whether the skilled person would have arrived at the invention, not whether they could have, should be used. However Birss J felt that the law of obviousness could not be accurately summarised in this way, and that the issue was multifactorial and based on the circumstances. The well known 9 ½ inch plate is not something a skilled person would make. In this case it was more appropriate to look at whether the invention could be arrived at by using routine methods applied to excipients that were part of common general knowledge. Birss J also considered the issue of whether the claims represented a ‘selection’ that could be inventive. He found that it was not an ‘arbitrary’ selection as the invention does give benefits, but that does not necessarily mean it involves inventive step. At the end of their work the skilled team would not be surprised that they had made a stable formulation, and nor would they be surprised by the identity of the ingredients. Birss J also looked at whether the deriving the invention represented a ‘research programme’ which he interpreted as being an undue burden. However he felt that for this to be an issue it would require ‘a degree of persistence through unpromising results’, but that had not happened here. Finally the Technograph test was looked at (from Technograph Printed Circuits Ltd v Mills and Rockley (Electronics)Ltd  RPC 346). The test found it wrong to find an invention obvious if it was arrived at after a series of steps which involved the cumulative application of hindsight, for example where knowledge of the target (based on hindsight) motivates the skilled person to take each step. In the present case Birss J found this was not the situation here, in particular because the tests are run in parallel rather than in series. In view of these findings the claims were obvious from Carter. The inventive step issues in the present case are similar to another recent case decided by Birss J, Teva UK Limited & Teva Pharmaceuticals Limited v Leo Pharma A/S & Leo Laboratories Limited  EWHC 3096 (Pat), reported by IPKat here. In that case also common general knowledge was central to deciding that the formulation of the invention was obvious. Given that common general knowledge, rather than prior art documents, seems to be most relevant in the field of formulations, it is not surprising that such cases are granted by Patent Offices where examination is document-based. In his discussion of ‘arbitrary selection’ Birss J notes that the skilled team would not be ‘surprised’ by the formulation they had identified. One wonders if the result would have been different if Genentech could have identified at least one surprising feature of the formulation. In addition one wonders whether a ‘reasonable expectation of success’ argument could have been used in support of inventive step, given Birss J’s acceptance that one could not determine beforehand whether any particular formulation would work. Such an argument would probably not have succeeded but may have led to Birss J providing guidance as to when ‘expectation of success’ is relevant to inventive step. The Decision Human papillomavirus vaccines/GLAXOSMITHKLINE T 1493/09 available here deals with a vaccine composition having various complicated names. No surprise so far. Claim 1 of [the auxiliary request] differed from claim 1 of the main request in that it is directed to the second medical use of the vaccine composition, i.e. it is directed to a vaccine composition for use in the prevention or treatment of a disorder related to HPV infection, as opposed to the product as such. 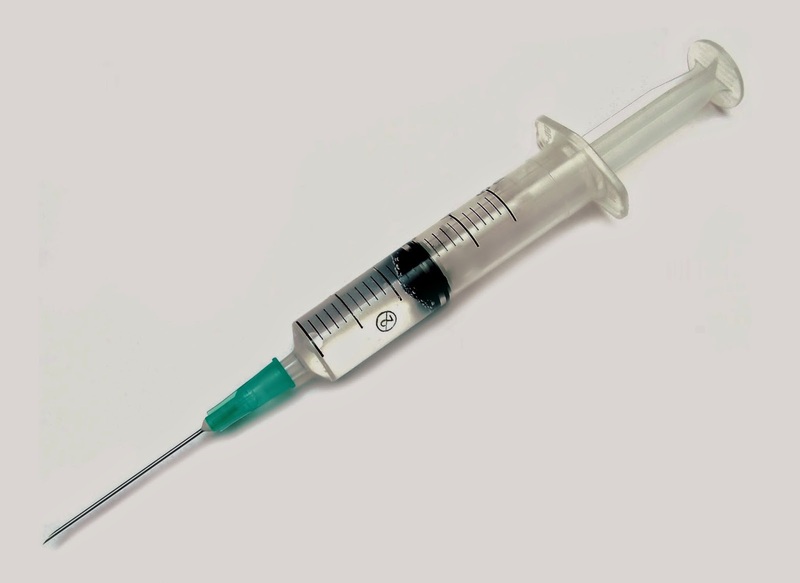 The appellant stated that this claim type set a higher bar with respect to evidence on the efficacy as a vaccine, in particular requiring evidence of effective protection in humans. applies to the subject-matter of claim 1 of the auxiliary request without any change in the reasoning. The subject-matter of claim 1 of auxiliary request 1 therefore lacks an inventive step for the same reasons as the subject-matter of claim 1 of the main request. The requirements of Article 56 EPC are not fulfilled. In other words, mentioning the therapeutic effect makes life more complicated in that evidence for its existence may be required but did not help in this case. Richard Bruton, the Minister for Jobs Enterprise and Innovation, has recently announced that Ireland has elected to establish a local division of the Court of First Instance of the Unified Patent Court (“UPC”) in Ireland. Ireland’s decision is significant in that the majority of Member States of the European Union may facilitate infringement cases through a regional division where a number of Member States collaborate to service such cases on a joint basis. In the case of smaller Member States, such infringement proceedings will have to take place in the central division of the UPC in Paris, London or Munich. Parties will also benefit from the increased expertise of the dedicated judicial panel to the UPC. PatLit will keep its eyes open for further developments in this regard. Malta: a ratification ... and a problem? Malta has now definitely ratified the Unified Patent Court Agreement, this event taking place yesterday, 9 December 2014. Malta's accession has been the subject of both speculation and confusion, as reported on earlier PatLit posts here, here, here and here. Readers might like to consider the ramifications of this ratification in light of what Keltie's Emily Weal and Mark Richardson, writing on the IPCopy blog, call the "Malta Problem", here. Hat-tip to Darren Smyth (EIP) for spotting this item! About 1500 or 1600 individuals (according to estimates of the organizers) including EPO employees, sympathizing professional representatives, curious bloggers and chimeras of these categories have demonstrated in front of the EPO's Isar building today, where the meeting of the Administrative Council is about to take place. The calls for negotiations between the staff committee and the EPO management were more and more drowned by louder calls for a demission of Mr. Batistelli. Representatives of the staff committee made various proposals on how to make sure that the fundamental human rights including the freedom of speech and the guarantee of judicial review are respected. One proposal was to establish an independent committee reviewing the managerial decisions in view of their compliance with human rights, the other one was that the EPC should access the European Council. For more background information, see here and here. What do our readers think? How can the fundamental rights be preserved in an international organisation where employees do not trust any longer that the management takes these rights for granted? Whether the Federal Circuit erred in holding that a defendant’s belief that a patent is invalid is a defense to induced infringement under 35 U.S.C. § 271(b). This appeal stems from a 2-1 opinion at the Federal Circuit. The trial court ruled that Cisco was liable for active inducing its customers to infringe Commil’s patent. A split Federal Circuit panel reversed, because Cisco had a good faith belief that the patent was invalid. The majority reasoned that an invalid patent cannot be infringed, so a belief that a patent is invalid precludes the required intent to cause infringement required under § 271(b). Commil argues in the appeal (and the dissenting Federal Circuit judge agreed) that a determination of invalidity may dispose of liability, but infringement is “an entirely separate question capable of determination without regard to its validity[.] ” Medtronic, Inc. v. Cardiac Pacemakers, Inc., 721 F.2d 1563 (Fed. Cir. 1983). Thus, the intent to infringe required under §271(b) can exists independent of the validity issue. Infringement disputes often start with the display of allegedly infringing products on a trade fair. Trade fairs are primarily meant to sell products. This is why displaying infringing products has hitherto been considered entailing a "risk of a first offence" (Erstbegehungsgefahr) for selling or offering the same product. "Sweets as always. More snacks than ever before. ", both of these aims may obviously include using cookies (real ones with flour and a lot of butter, not the ones in your web browser ...). In the decision Pralinenform II, the BGH had already ruled that displaying pralines with a 3-dimensional shape protected as a trademark on a trade fair does not as such imply that the praline is offered for sale. According to the press release relating to the (yet unpublished) decision I ZR 133/13, this has now been confirmed for the question whether displaying counterfeit cookies amounts to unfair competition. As discussed here, the this jurisdiction has been applied to patent law in some instances. As a rule, the German courts judge the nature of the activities on a trade fair by taking account of detailed secondary indicia such as the overall external appearance of the booth, the kind of fair and the details of the display (see e.g. here), which risks to increase the complexity of the case beyond what is manageable in a preliminary ruling. Obtaining a preliminary injunction based on activities on a trade fair in intellectual property matters will become more and more complicated following the decision I ZR 133/13. In any event, it is essential to gather detailed evidence on how the offer or display was perceived. Future New Developments Ltd v B & S Patente und Marken GmbH, an Intellectual Property Enterprise Court, England and Wales, ruling by Judge Richard Hacon last week, is a short extempore decision that was picked up only on the subscription-only Lawtel service. 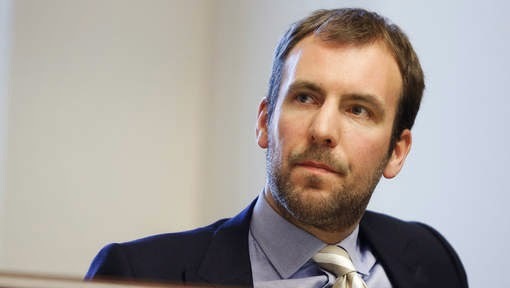 If it sounds a bit familiar, that's because an earlier matter arising out of this dispute was noted on the IPKat weblog, when it was established that the UK Intellectual Property Office was a "court" for the purposes of the Brussels I Regulation. Future New Developments (FND), a Cayman Islands company, applied for summary judgment in its claim against a German company, B&S, concerning entitlement to a patent for energy-saving technology for use in fluorescent tubes. The initial applicant for the patent assigned the application to FND, following which the European Patent Office granted the patent in 2002. However, in January 2002, FND's parent company issued a share mortgage in respect of FND's shares in favour of the patent's initial applicant. In March 2009, one of FND's directors purported to assign the patent to B&S and the UK Intellectual Property Office recorded B& as its registered proprietor. 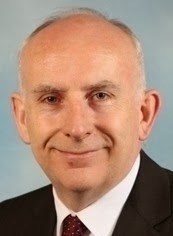 A written resolution in February 2009 by FND's parent company purported to remove the director from his directorship and it appeared from official certificates issued in the Cayman Islands that the director had resigned in January 2009. An expert in Cayman Islands' law explained that, if the parent company was FND's sole shareholder (as was the case), it had the power to issue an ordinary resolution removing the director -- who, once removed, would have no further authority to assign the patent. After the patent's assignment FND, which had paid €166,000 in renewal fees, maintained that the director had been lawfully removed from his directorship in February 2009 so that he had no legal authority to assign the patent, and that under Cayman law, even if he was a director, he would not have had authority without formal approval from FND's board of directors. Although B&S did not appear at the hearing, a witness statement of one of its representatives did appear and submitted that (i) the validity of the assignment from FND to B&S fell to be determined under German law and that, in the absence of proper evidence, the court was not in a position to resolve it; (ii) the parent company had not been FND's sole shareholder at the relevant time, so the director's purported removal was invalid; (iii) the parent company had defaulted in paying under the share mortgage, which affected the ownership of the shares in FND; (iv) in January 2009 the original applicant's administrator had contracted with B&S to assign worldwide patent rights, including the patent at issue, for €15,000; (v) FND had not paid the fee for the patent's assignment, so that the agreement was a "pending contract" which could be disregarded once the original applicant became insolvent in 2008; (vi) the director had received no notice of the removal resolution, so his purported removal had no force in law and, finally, (vii) in January 2002, another individual had been appointed a director of FND under terms that breached the share mortgage agreement. 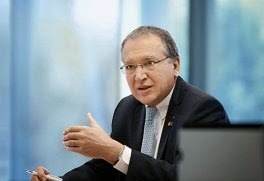 * The witness statement of B&S's representative had also stated that the director's authority to assign was to be determined under the law of the Cayman Islands, and he gave no reason for stating why that position would not be recognised under German law. The court should not take into account his unrealistic expectation that the assignment would have encountered difficulties under German law, which did not amount to a defence. * It was hard to determine from the documents what had happened regarding FND's shares during the relevant period. It seemed clear that the parent company had owned them in January 2002. Although a share mortgage had been issued, there was no evidence that the shares in FND had actually left the parent company, so that the director's directorship had validly been terminated. * The share mortgage required written notice of default by the purchaser, i.e. the parent company, to be sent to the original applicant, and there was no evidence or suggestion that that had been done. 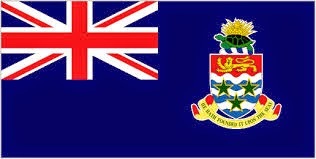 If B&S's case was that no written notice had been sent, the court would have expected it to make an application in the Cayman Islands to rectify the position. * The purported worldwide assignment mentioned by B&S was not produced in evidence. * The evidence from the independent lawyer for B&S was that unfulfilled contracts ceased to have effect once a party became insolvent, but that the administrator "may" decide not to complete the contract -- but that was not quite what B&S's representative was contending. The original applicant's administrator could have dealt with the assignment of the patent application if the obligation to pay had not been fully satisfied. The expert had not indicated that the administrator had taken such a view, and the administrator himself had made no such comments in his evidence. * The evidence showed that something was posted and faxed to the director on or about the date of the removal resolution, but did not show what was actually sent. The expert's unchallenged evidence was in any event that notice of removal was irrelevant to the removal's effectiveness. * Whether another director of FND had been appointed did not affect whether the director at issue had been correctly dismissed. There was no evidence that the share mortgage had been breached, as that mortgage required the original applicant's prior written consent for such an appointment and no such consent had been adduced. * None of B&S's representative's points raised any real prospect of success at trial. What's more, B&S hadn't paid any of the patent's renewal fees and the director had made no attempt to rectify his removal. The takeaway message here seems to be that there is really no point in contesting litigation if your evidence is either not there at all or is not going to substantiate the points on which you are planning to rely. There's a somewhat unsatisfactory feeling about this case: did it only get as far as a hearing because the defendant half expected it to settle at the door of the court on a more favourable basis, this blogger wonders. The Leahy-Smith America Invents Act established three new procedures for post-grant administrative patent challenges: inter partes review, post-grant review, and review under the transitional program for covered business method patents (“CBM”). One yet-unresolved issue concerning these administrative proceedings is their relation to, and coordination with, parallel federal court proceedings, such as infringement and declaratory judgment actions. In a recent case, the U.S. Court of Appeals for the Federal Circuit ruled that a district court erred by not staying a pending infringement action while the defendant pursued a parallel CBM proceeding challenging the patents in suit on the grounds that the claimed inventions were not eligible under 35 U.S.C. § 101. Versata Software, Inc. v. Callidus Software, Inc., No. 2014-1468 (Fed. Cir. Nov. 20, 2014). In September, 2012, Versata sued Callidus in the U.S. District Court for the District Delaware, alleging that Callidus infringed three patents. Callidus moved to transfer the case and also moved to dismiss the case. The district court denied both motions in May 2013. Callidus then filed a counterclaim alleging that Versata infringed three Callidus patents, and advised the district court that it planned to seek CBM review of the Versata patents. It filed a petition for review with the USPTO in August 2013 and sought a stay of the district court litigation. The district court deferred ruling on the stay motion until the USPTO acted on the pending petitions for review. In the interim, the court scheduled a Markman claim construction hearing and a 2015 trial date. After the USPTO granted the petition for review, the district court granted a stay as to one Versata patent, but not the two other patents asserted by Versata. Callidus appealed to the Federal Circuit. On appeal, the Federal Circuit ruled that the district court erred in not granting a stay as to all three Versata patents, and that the denial was both an abuse of discretion and violated the AIA’s “more searching review” standard for stay motions. The Federal Circuit opinion approved the court’s earlier discussion of the consideration affecting stays in VirtualAgility Inc. v. Salesforce.com, Inc., 759 F.3d 1307 (Fed. Cir. 2014). AIA § 18(b)(1). The Federal Circuit ruled that the district court erred in evaluating each of the four factors. But this type of categorical rule is inappropriate. Stays can be warranted even when a CBM proceeding does not address all asserted patents, claims, or invalidity defenses. Certainly this simplification factor weighs more strongly in favor of a stay when all of the litigated claims are undergoing CBM review. But there can still be a simplification of the issues when only some, but not all, of the claims asserted in litigation are challenged in a CBM review. Slip op. at 6. Among the factors that the district court should consider in evaluating this point are a comparison of the issues that the review would resolve versus the issues that would remain, the number of claims in suit included in the review, and the range of invalidity issues included in the review. On the second factor, whether discovery is complete and a trial date has been set, the Federal Circuit also ruled that the district court erred. First, it noted that the district court must evaluate not just whether key litigation dates have been set, but how much more work remains to be done in the litigation before the trial date. In addition, this determination generally should be made at the time the motion for stay was filed. Given that the parties had not completed fact discovery, no deposition had taken place, and no expert discovery had been completed, the appeals court found that this factor strongly supported a stay. The appeals court also disagreed with the district court that Callidus’s motion for stay would give it a tactical advantage, or unduly prejudice Versata. It noted that Callidus was seeking a stay of the entire litigation, including its infringement counterclaims. In addition, although the district court noted that Callidus’s motions to dismiss and transfer venue were considerations, apparently because the district court considered them to be vexatious, the Federal Circuit noted that parties have a right to file nonfrivolous motions relating to venue and challenging pleadings. [T]he district court clearly erred in evaluating the burden-of-litigation factor exclusively through this backward-looking lens. The correct test is one that focuses prospectively on the impact of the stay on the litigation, not on the past actions of the parties. When framed appropriately, it becomes clear that a stay will indeed reduce the future burdens of litigation. Slip op. at 13 (citations omitted). The court also observed that “simplification analysis under the first factor often points in the same direction as reducing the burden of litigation under the fourth factor.” Id. at 14. As a result, the district court abused its discretion in denying Callidus’s request for a stay pending the CBM review proceeding. The Federal Circuit reversed and remanded with instructions to grant a stay. The entire opinion is available HERE. The Advocate General’s conclusions in Huawei v ZTE (C‑170/13) which were published today amount to a significant departure from the very strict conditions laid down by the BGH in the Orange Book case regarding standard essential patents and anti-trust law. They also vindicate the Commission’s position which has been openly critical of Orange Book. The Advocate General rejects the application of the rules established by the BGH in the Orange Book case, because that dispute concerned a de facto standard whereas the patent in suit concerns a standard which was agreed as part of a standardization process undertaken by the European Telecommunications Standards Institute in which both Huawei and ZTE had taken part. Huawei had agreed to provide licenses to competitors on fair, reasonable, and non-discriminatory terms (FRAND). The BGH held that the seeking of a cessation injunction by a patent holder with a dominant position, would only constitute abuse of that position if the alleged infringer had made un unconditional and binding license offer which could not be limited to cases where patent infringement had been proven. By contrast the Advocate General places the burden on the patent holder to first send a notice letter setting out not only the alleged infringement but also the terms of license offer under FRAND conditions of a type normally used. The alleged infringer could then respond with a counter-offer setting out alternative terms. The patent holder could only seek an injunction if the counter-offer were held not to be serious and to constitute a mere delaying tactic. The alleged infringer could also reserve the right to later challenge both patent validity and the existence of infringement. If the CJEU now accepts the Advocate General’s conclusions, the rights held by owners of SEP patents under the “Orange Book Standard” will be significantly curtailed. In the case ZTE-Huawei, the Düsseldorf District Court had referred a number of questions to the Court of Justice. It is seeking to ascertain whether — and, if so, in what circumstances — an action for infringement brought by the holder of a patent which is ‘essential to a standard developed by a standards body’ (standard-essential patent (SEP)) against a manufacturer of products which comply with that standard constitutes an abuse of a dominant position for the purposes of EU competition law where the patent holder has made a commitment to grant licences on FRAND terms. Where the proprietor of a standard-essential patent (SEP) has made a commitment to a standards body to grant third parties a licence on fair, reasonable and non-discriminatory (FRAND) terms, it constitutes an abuse of a dominant position for that proprietor to request corrective measures or to seek an injunction against a company that has infringed the SEP (‘the infringer’)4 (an action which, if successful, may cause the products and services supplied by the offending company to be excluded from the markets covered by the standard), where it is shown that the SEP holder has not honoured its commitment even though the offending company has shown itself to be objectively ready, willing and able to enter into such a licensing agreement. In order to honour that commitment and to avoid abusing a dominant position, the SEP holder must, before making a request for corrective measures or seeking an injunction, alert the infringer to the infringement at issue in writing, giving reasons, and specifying the SEP concerned and the way in which it has been infringed by that company, unless it has been established that the alleged infringer is fully aware of the infringement. The SEP holder must, in any event, present the alleged infringer with a written offer of a licence on FRAND terms and that offer must contain all the terms normally included in a licence in the sector in question, including the precise amount of the royalty and the way in which that amount is calculated. The infringer must respond to that offer in a diligent and serious manner. If it does not accept the SEP holder’s offer, it must promptly present the latter with a reasonable counter-offer, in writing, in relation to the clauses with which it disagrees. An application for corrective measures or for an injunction does not constitute an abuse of a dominant position if the conduct of the infringer is purely tactical and/or dilatory and/or not serious. If negotiations are not commenced or are unsuccessful, the conduct of the alleged infringer cannot be regarded as dilatory or as not serious if it requests that FRAND terms be fixed either by a court or by an arbitration tribunal. In that event, it is legitimate for the SEP holder to ask the infringer either to provide a bank guarantee for the payment of royalties or to deposit a provisional sum at the court or arbitration tribunal in respect of its past and future use of the patent. Nor can an infringer’s conduct be regarded as dilatory or as not serious during negotiations for a licence on FRAND terms if it reserves the right, after entering into an agreement for such a licence, to challenge before a court or arbitration tribunal the validity, use and essential nature of that patent. In taking legal action to secure the rendering of accounts, the SEP holder does not abuse a dominant position. It is for the national court in question to ensure that the measure is reasonable and proportionate. In bringing a claim for damages in respect of past use of the patent, for the sole purpose of obtaining compensation for previous infringements of its patent, the SEP holder does not abuse a dominant position. Spain claims that the regulation [on the unitary patent] provides for a specific judicial regime for the European patent with unitary effect which is contained in the Agreement on a Unified Patent Court. It claims that the content of that agreement affects the Union’s powers and confers on a third party the power to determine unilaterally the application of the regulation. The Advocate General takes the view that the Court does not have jurisdiction to review the content of the Agreement on a Unified Patent Court in an action for annulment of the regulation. The Advocate General observes that the Agreement on a Unified Patent Court does not fall within any of the categories of acts the lawfulness of which is subject to judicial review by the Court. It is an intergovernmental agreement negotiated and signed only by certain Member States on the basis of international law. Moreover, the regulation does not approve an international agreement or implement such an agreement, but is intended to implement enhanced cooperation in the area of creation of unitary patent protection. Spain claims that the application of the regulation is absolutely dependent on the entry into force of the Agreement on a Unified Patent Court, and that the effectiveness of the power exercised by the European Union through the contested regulation thus depends on the will of the Member States which are party to the Agreement on a Unified Patent Court. The Advocate General states that the EU legislature provided for the establishment of a court having jurisdiction in respect of European patents with unitary effect, to be governed by an instrument setting up a unified patent litigation system for European patents and European patents with unitary effect. The EU legislature considered that the establishment of such jurisdiction was essential in order to ensure the proper functioning of the European patent with unitary effect, consistency of case-law and hence legal certainty. In the Advocate General’s view, the objective of the regulation is to ensure such proper functioning. It would be contrary to such principles to apply the contested regulation when the Unified Patent Court has not yet been established. The principle of sincere cooperation requires the participating Member States to take all appropriate measures to implement enhanced cooperation, including ratification of the Agreement on a Unified Patent Court, as such ratification is necessary for its implementation. By refraining from ratifying the Agreement on a Unified Patent Court, the participating Member States would infringe the principle of sincere cooperation in that they would be jeopardising the attainment of the Union’s harmonisation and uniform protection objectives. Moreover, the link between the regulation and the Agreement on a Unified Patent Court is such that it would have been inconsistent not to make the application of the contested regulation conditional on the entry into force of that agreement. MPHJ sent a letter in the name of one of its subsidiaries, identifying itself as the licensing agent for a specific set of patents (known as the Klein patents), deemed to cover computer management systems capable of transmitting electronic images, graphics, and/or documents through a communications network from a network addressable scanner, digital copier, or other multifunction peripheral to external devices, files, and applications. The letter, sent to ca. 16,465 small businesses in the US, alleged that the recipient was likely infringing the Klein Patents by using common office equipment (e.g. a digital copier/scanner/multifunction equipment), and stated that MPHJ was willing to initiate licensing negotiations. The letter also contained some distinctive features, such as the indication of a positive response by the industry to earlier licensing requests made by the patent assertion entity ("most businesses, upon being informed that they are infringing someone’s patent rights, are interested in operating lawfully and taking a license promptly" and “[m]any companies have responded to this licensing program in such a manner"), and the identification of a fair price for a license ($1,200 per employee), allegedly based on prior licensing negotiations. In case of no response, most of the targeted businesses (over 10,000 of the original 16,465) received a second letter signed by MPHJ's counsel, the law firm Farney Daniels. The letter stated that "our client [has] reasonably assume[d] you have an infringing system and need a license [and] has referred the matter to [Farney Daniels]"; the law firm added that its representation of MPHJ, or of one of the patent assertion entity's subsidiaries, could involve litigation, but reiterated the willingness to enter into a licensing agreement. The third letter, sent to almost 5,000 companies, was again signed by Farney Daniels' attorneys and contained a draft complaint related to an action for patent infringement that the law firm threatened to initiate, on behalf of MPHJ, within two weeks. 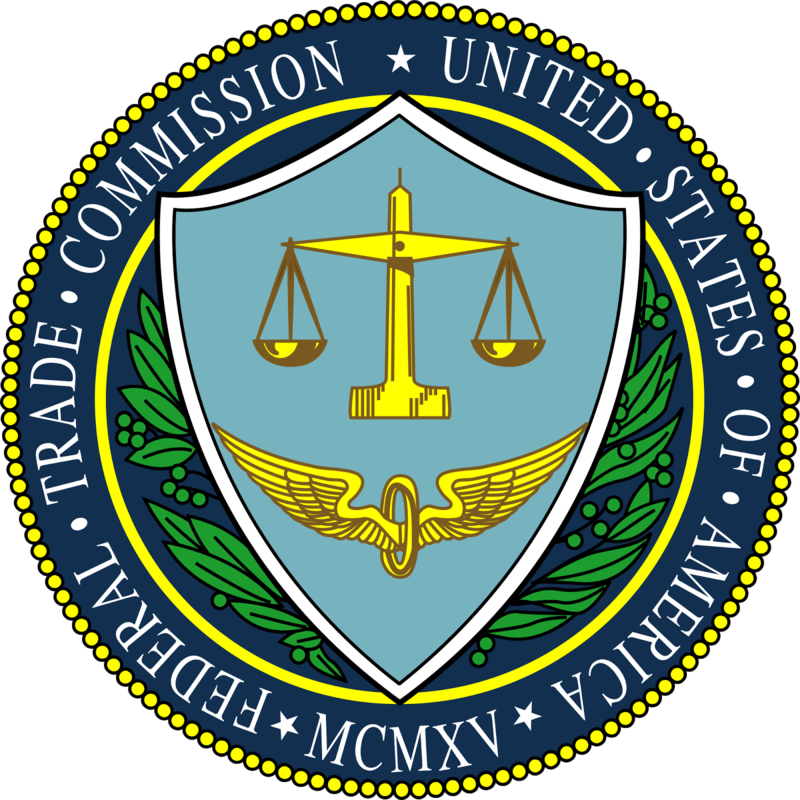 In its complaint, the FTC took issues with the allegedly deceptive, false and/or misleading statements contained in the three letters mentioned above. In particular, the FTC noted that, at the time of the sending of 7,366 first letters, MPHJ had not yet sold a single license for the Klein patents (and had concluded only one licensing agreement by the time it sent the following 1,077). The FTC also observed that different versions of the same letter contained different statements concerning the fair price calculated on the basis of the (non-existent) prior licenses. Further, the authority added that neither MPHJ nor Farney Daniels were, at the time of the sending of the third letters, ready to initiate legal actions for infringement of the Klein patents against the targeted businesses, and did not intend to promptly initiate such litigation. Thus, the FTC's complaint argued that such false and/or misleading statements constituted deceptive acts or practices affecting commerce in violation of Section 5(a) of the Federal Trade Commission Act. MPHJ brought an action against the FTC in the Western District of Texas, alleging a violation of its First Amendment rights and of the Separation of Powers Doctrine; the action was dismissed in September. In the meanwhile, several states conducted parallel investigations into the deceptive tactics employed by MPHJ, employing different means to prevent the patent assertion entity and its counsel from persevering in such activities (see, for example, our previous posts here, here, and here). that MPHJ, its subsidiaries or counsel will take any action with respect to the filing of a lawsuit, unless at the time such representation is made, they have decided to take such action and possess and rely upon competent and reliable evidence sufficient to substantiate such statement. Public comments on the proposed consent order are due, through this dedicated webpage, by Monday 8 December. In the third game of the World Chess Championship in Sochi, challenger Viswanathan had put a pawn on c7 quite early. 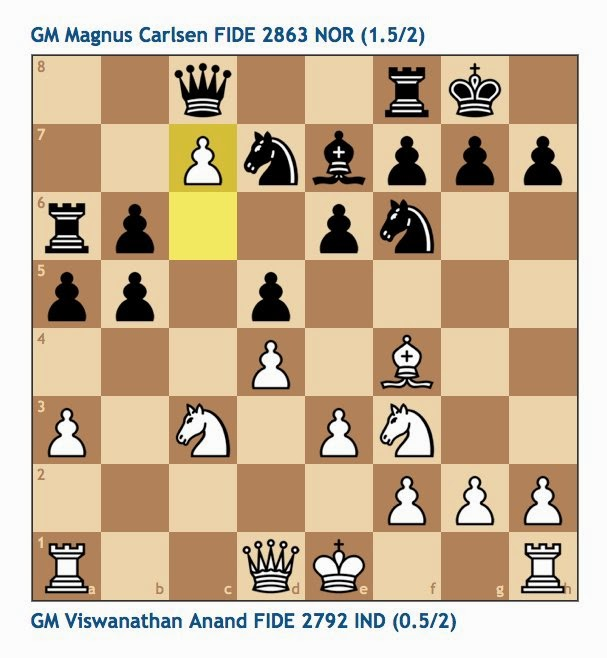 Initially, the pawn did not look very dangerous but slownly tunred into a true monster pawn binding major parts of Carlsen's energy the longer the game lasted. The feature "data transmission delay or latency" was introduced to replace "delay of data" during the examination procedure at which the latter had been regarded as unclear, because of leaving the reader in doubt as to the kind of processing referred to, e.g. processing delay, queuing delay or transmission delay (see communication of 4 November 2004, point 1.3). In the course of the opposition procedure the term "or latency" was deleted in the aim to overcome an objection as to added subject-matter. The respondent objected to the remaining feature "data transmission delay" for lack of clarity and argued that the term was no longer clear due to the deletion of "or latency". Moreover, the interpretation of the term "data transmission delay" on the basis of the description, see in particular paragraphs ,  and  was different from how this term was used by the skilled person. referred to by the respondent during oral proceedings, there are different types of delay like propagation delay, processing delay, queuing delay, transmission delay etc. (see e.g. section 2.1). Without further specification, the skilled person would interpret the expression "data transmission delay" in claim 1 to refer to this special type of delay rather than to the whole delay. The skilled person would not understand claim 1 in a way that it is referred to more than the transmission of the data without further considering the description. the claim is unclear in cases where this meaning is modified when reading the claim in the context of the specification (which is always true to some degree...). Looks like a blueprint for clarity attacks to virtually every amendment made after grant to this blogger! The decision in the matter T 0584/09 has been issued almost one year ago but has not yet been sufficiently bemoaned in the blogosphere. The patent in suit related to the use of agonists and antagonists of the nicotinergic acetylcholine receptors of insects for the non-systemic control of parasitic insects, such as fleas, lice and flies, on humans and on animals. While this blogger supposes that appellants popping up with late-filed documents may be as pesky as fleas, lice and flies for members of the technical board of appeal, only the former enjoy the benefit of the right to be heard. In the decision T 0584/09, the board considers the documents 9 to 12 as late filed although they had been filed (but not admitted) in the 1st instance no less than 5 years prior to the date of the oral proceedings. 3.1.1. These documents were filed by the opponent in the opposition proceedings with letters dated February 22 and October 2008, however, they were not admitted by the Opposition Division to the legal proceedings. 3.1.2. Pursuant to Article 12(4) of the Rules of Procedure of the Boards of Appeal the Board (RPBA) has the power “to hold inadmissible evidence… which could have been already presented in the first instance proceedings or were not admitted, there” (see Supplement to the Official Journal EPO 1/2013, pages 39-49). 3.1.3. As part of the examination of the decision of the Opposition Division not to admit documents into the legal proceedings, a Board of Appeal should only overrule the way in which the first instance has exercised its discretion if the Board comes to the conclusion that the first instance has exercised its discretion according to the wrong criteria, without taking into account the right criteria, or in an unreasonable way (see T 640/91, Official Journal EPO 1994, 918, issue 6.3. of the decision grounds). 3.1.4. Based on the written decision of the Opposition Division as well as on the protocol of the Oral Proceedings it is presented clearly and concisely, that the admissibility of these documents was discussed (see pages 5 to 7 of the decision of the Opposition Division and issue 2 of the protocol of the Oral Proceedings). This was not contested by any party. It was emphasized in the contested decision, that these documents were presented with a delay and it was sufficiently reasoned, why these documents are not relevant. Hereby, the Opposition Division has applied the criterion of relevance on the document presented with a delay, as it is proposed in the Examination Regulations (see Guidelines for Examination in the European Patent Office, E-III 8.6, December 2007 Edition). As a consequence, the Opposition Division has sufficiently reasoned its discretion and exercised according to the right criteria. Whether or not the Opposition Division may have erred in the judgment of the relevance of the documents, as the appellant argued, is not of any relevance here and has not to be examined by the Board. 3.1.5. Therefore, the Board has decided not to admit the documents (9) and (12) into the legal proceedings. In brief, the Technical Board of Appeal argues that it has no discretion on its own to admit documents which have not been admitted in the first instance for good reasons. The board confuses two points: the cited decision T 640/91, Official Journal EPO 1994, 918, issue 6.3. of the decision grounds relates to the question whether a refund of the appeal fees is justified because opposition division has violated the right to be heard by not admitting documents at a late stage and examines the way in which the first instance has exercised its discretion for this purpose. According to the established (and hopefully still valid) case-law, documents filed with the grounds of appeal should be admitted unless there are indications that the late-filing amounts to a procedural abuse. PatLit hopes that this decision remains isolated. The file wrapper can be found here.